Charles Benoit has created a stunner of a debut novel, one of the most anticipated titles of the fall season. Told entirely in the second person, the story quickly immerses us in the world of bright, disaffected Kyle Chase, who once showed great potential but by tenth grade has become a genuine slacker. 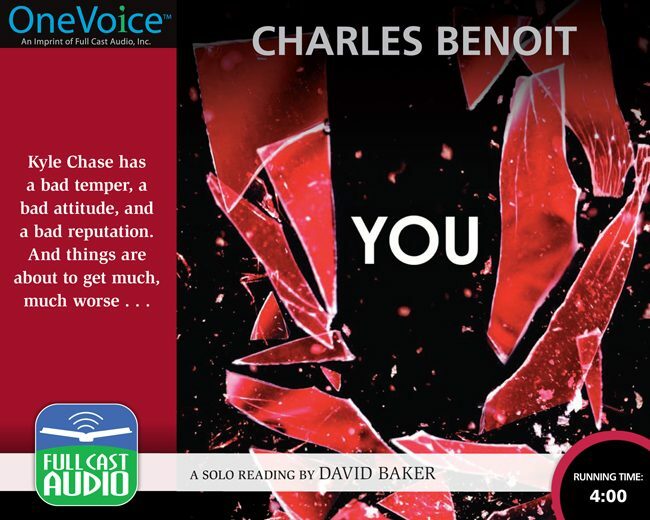 With uncanny insight, crafting what can only be called YA Noir, Benoit takes us deep inside the mind of a young man on a collision course with catastrophe. Of the print version, Publisher’s Weekly said in a starred review: “Disturbing content blends with skillful, fast-paced writing, adding a thriller spin to the novel’s vicious realism.” Now David Baker – narrator of our highly acclaimed recording of Graceling – offers a reading that captures and builds the sense of loss and dread that makes this novel both disturbing and irresistible.